WASHINGTON, April 25 (Xinhua) -- Chinese American scientist Sherry Chen, who was wrongfully arrested and fired due to baseless spying claims several years ago, is the "victim of a gross injustice", a U.S. judge ruled on Tuesday. The U.S. Department of Commerce did not have cause to fire Chen, said Chief Administrative Judge Michele Schroeder of the Merit Systems Protection Board (MSPB), ordering to reinstate her employment at the department's National Weather Service (NWS) and pay her back pay plus benefits. In a more than 130-page detailed decision, the judge completely rejected the Commerce Department's allegations based on baseless claims that she purportedly attempted to obtain secret information from a restricted government database, according to the Sherry Chen Legal Defense Fund. "We hope this decision sends a strong message to the federal government: stop targeting innocent Chinese Americans," the fund said in a statement released following the judge's decision. 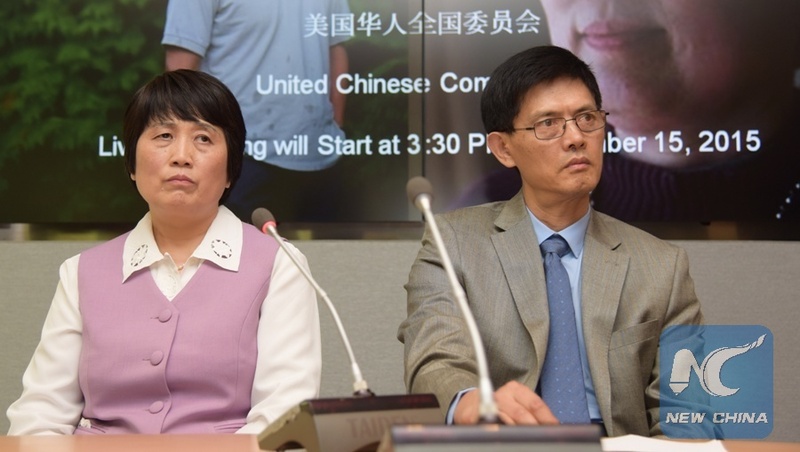 "Three and a half years after her wrongful arrest in October 2014 and two years after her termination in March 2016, Sherry Chen finally has received justice," said the statement. Chen, an employee of the National Oceanic and Atmospheric Administration under the NWS, was accused in 2014 of stealing sensitive information from a database for the nation's dams and lying about the breach. In March 2015, U.S. federal prosecutors dropped charges against Chen. Two months later, 22 U.S. Congress members urged then U.S. Attorney General Loretta Lynch to investigate whether there was a practice of targeting federal employees based on their race or national origin. "There's been a history of discrimination against Asian Pacific Americans, and the recurrent theme is one of suspicion," House Representative Ted Lieu said during a press conference at that time.